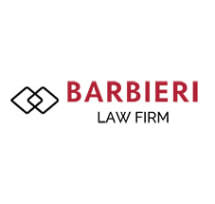 At the Barbieri Law Firm, P.C., in Plano, Texas, the attorneys in our law firm are passionate about protecting our criminal defense clients' rights and futures. We are proud to represent clients not only in Plano, but also in Allen, Frisco, McKinney and throughout Collin, Dallas and Denton counties. In addition, we also handle appeals, expungements and nondisclosures. Our mission at the Barbieri Law Firm, P.C., is to relentlessly and passionately pursue justice for our clients in any and all proceedings. Our team approach gives each client the benefit of our combined skills, experiences and resources in devising the best defense strategy for him or her so as to achieve the most favorable results possible. Starting with each client's initial free consultation, we provide him or her with the high-quality legal representation (s)he seeks and deserves. We also strive to give each client the hope and trust (s)he needs to more confidently face the future. We always guide our clients through every step of the judicial process and keep them fully advised of their options. In addition, we accept credit cards for their maximum convenience.